Avraham Burenstein from the Associated Jerusalem Klezmer organize a Great Klezmer bands show and parade at Jerusalem . "Chol hamoed Sukot" 02.10.2007 from 13:00 . With a lot of klezmer players and origional klezmer dancers . The show is start at "Ymin Moshe" and goes to King David tomb. It going to be very big and happy jewish klezmer festival. The show is free for all .Everybody invited. This event will be much bigger and with a lot of professional klezmer players. Klezmer giant and Grammy-winner Frank London and Emmy-winner Glen Berger spin a magic tale set to Klezmer music of spirits who come alive to right an ancient wrong in this fantastic journey to rediscover the meaning of faith. The Toronto Jewish Folk Choir, Canada's oldest continuing Jewish performing group, begins its 82nd season on October 3, 7.30 p.m. at the Winchevsky Centre, 585 Cranbrooke Ave. (5 blocks n. of Lawrence, just east of Bathurst). The choir has soprano, alto, bass-baritone and tenor sections. Music reading ability is definitely a plus, but those with good voice and fast-learning skills are also welcome. Then 2007-2008 season will feature excerpts from "Di yam gazlonim" ("Pirates of Penzance" in Yiddish), Yiddish and international folk songs, beloved pieces by Avrom Goldfadden, and Israeli songs in Hebrew, Yiddish and English. Annual fees are $150.00, but exceptions are made for low-income singers. For more information, contact the Co-President, Enid Moscovitch, at 416-709-5502, or Ben Shek: 416-489-7681. First: Shalom, Ireland, a film documentary about Ireland's remarkable, yet little known, Jewish community. Then, Nicolae Feraru and Steve Gibons play Klezmermusic from Romania. BARBES ~Thurs 4th - 8pm (1 set). I have an exciting show next week curated by my friend and amazing clarinetist, Todd Brunel. I will be doing my solo "Clarinetrics" material, dreamy soundscapes and microtonal tone poems. Todd will also be playing new and improvisational music with Robert Rivera, cello. Should be a delightful evening of beautiful music. It is Oct. 5 at 8:00pm, admission by donation, all ages, at the Outpost: 186 Hampshire St., Inman Sq., Cambridge. There is something special about a band marching in a parade. It doesn't have to be an "official" marching band, as at Veteran's Day parades or football games. When I lived in Santa Cruz I remember some glorious marches with a delightful cacophony of musicians and street performers. Anyone who has attended a Gay Pride parade knows of what I speak—but so do the people who have attended Mardi Gras in New Orleans. Sometime in the last few years, this mix of loud brassy music has gotten fused with social concerns, with community activities, and something noisy and edgy and extremely fun. This weekend, in Somerville, MA, there is a "Festival of Activist Street Bands." One of the organizers turns out to be one of my professors from UMass/Boston's College of Public and Community Service, Reebe Garofalo. So, tonight there are bands in the Abbey Lounge, in Inman Square. Tomorrow, though, there is a day of concerts in Davis Square, from noon to 7pm. And Sunday? Can you say parade? Sets out at noon from Davis Square to Harvard Square, followed by performances at the Harvard Square Oktoberfest. To find out more about the honkfest, check out the honkfest website. If you see Judy and I there, stop by and say, "hello"! With a new program from soon to be released second CD, "Dov the Cow Swimmer"
Robert Wiener will present an hour-long version of his audio-video material on "Blacks and Jews in American Music" at the Asbell Center of Dickinson College in Carlisle, PA, this Sunday, October 7th, at noon. The program and bagel brunch are co-sponsored by Diversity Initiatives and the Music Department. Music will range from spirituals, ragtime, jazz, gospel, show tunes, folk music, and popular music. Wiener will discuss how the music of American Blacks and Jews reflect the complicated relationship between these two groups. From the first part of the 20th century to WWII, from the Cold War to the present, you will hear the similarities and differences. On Sunday, October 7, Alicia Svigals, the world's leading klezmer fiddler and founder of the Grammy-winning ensemble The Klezmatics, presents lost musical treasures of the Jewish Ukraine. Drawing on the fieldwork of Moshe Beregovsky, a Soviet-Jewish ethnomusicologist, Svigals brings to life, through music and conversation, tunes recorded on wax cylinders before World War II. This incredible collection disappeared when Beregovsky was exiled to Siberia but was recently rediscovered in a dusty archive. Come help resurrect this beautiful old culture—singing and dancing welcome! www.active.com/donate/ltnbcom/2116_CarmenSStaaf, make a secure online donation of at least $10, and bring a printout of your receipt to the show. CONCERT of NEW YIDDISH CHILDREN'S SONGS! a global network of concerts using the universal language of music to teach respect of differences and reach out in friendship. 10 Oct., 11:30, "55 yor nokhn kultur pogrom in gevezenem ratnfarband", Dr.
Hommage à Simon Laks, compositeur et auteur du livre "Mélodies d'Auschwitz"
Zalmen Mlotek presents this multi-media musical lecture full of rare gems and familiar melodies seen in a new light. The Eldridge Street Project will assemble more than 75 of the world’s most influential klezmer musicians for “A Great Day on Eldridge Street,” an unprecedented, ten-day series of concerts, lectures and educational events that will kick-off on October 12 with a march through the streets of the Lower East Side and an historic photo shoot on the steps of the National Historic Landmark Eldridge Street Synagogue. The photo is inspired by “A Great Day in Harlem,” the iconic 1958 photograph of renowned jazz musicians, including Thelonius Monk, Dizzie Gillespie and Count Basie. Friday, October 12: Procession 11:30am from the Eldridge St. Synagogue to Seward Park featuring the musicians as they march down the streets of the Lower East Side. Photographer Leo Sorel will then take a portrait of the group at 9am. Ballin' The Jack performs in support of A Gathering Of The Tribes! Benefit for a Gathering of the Tribes—jazz programming! featuring BALLIN' THE JACK in concert in the garden behind Tribes. On Friday, October 12th, BALLIN' THE JACK will play a benefit party for TRIBES, the venerable alternative arts institution in the East Village. BALLIN' THE JACK will perform their unique and upbeat interpretations from the early jazz period as well as inspired originals form their two CD's on the Knitting Factory Label. Perhaps best known for its support of alternative art and poetry, TRIBES also brings music events to the Lower East Side, including helping support the annual Charlie Parker Festival. We are raising funds to further these goals. Please come help support this unique venue's growing vision! A Gathering of the Tribes is an arts and cultural organization dedicated to excellence in the arts from a diverse perspective. Located on the Lower East Side of New York City, Tribes has been in existence since 1991. In that year, Steve Cannon, poet, playwright, novelist, and retired professor from the City University of New York, converted a portion of his apartment into an informal salon. Tribes encourages the exchange of alternative points of view traditionally overlooked by mainstream media has evolved into a performance venue and meeting place for artists and audiences to come together across all artistic disciplines, all levels of complexity, and all definitions of difference. In this pan-disciplinary, multi-cultural environment, artists exchange ideas, create peer relationships and find mentorship. Tribes additionally organizes an annual outdoor event—The Charlie Parker Festival—to engage members of the community who have seldom, if ever, attended literary or artistic events. Ballin' The Jack, a creation of New York eclectic reedman, Matt Darriau, creates new interpretations of music from the early swing era. The four horn (seven-piece) Ballin’ The Jack, plays music of the ‘20's to 40's with an emphasis on Ellington, and other unique early jazz artists such as John Kirby. They also create original music inspired by this era as well as working with the early (jazz) roots of R&B. This band of veteran "downtown" players pay detailed attention to the original orchestrations, colors and intent, yet this unique period in jazz provide a creative platform for the band's spontaneous interpretations and interactions, allowing them to explore ways in which early swing, with its often through composed and unusual forms, can inspire contemporary "open" musicians—especially early Ellington, who was working before standard conventions in jazz were established. Conceived for the Tap Bar at New York's Knitting Factory, where they developed their unique esthetic during 1998 -99', Ballin' The Jack now has two CD's out on the Knitting Factory Label. The first, Jungle (1999), explores mostly Ellington with some Basie and John Kirby. The term "Jungle sound " with its growling brass and heavy percussion grooves, was used to describe Ellington's music from his Cotton Club orchestra. This CD features Ellington alumnus, trombonist Art Baron, a master of mutes and growl techniques. Ballin' The Jack's new CD The big Head, is a year-end best on Gary Giddins' Village Voice picks list. With 16 tracks the band further refines its unique approach, placing more emphasis on original material and discovering new areas to expand improvisationally on five Ellington and other early swing tracks. Ballin' The Jack has toured numerous times in Europe including the North Sea Jazz Festival, 2002 Newport Jazz Festival, Chicago Jazz Fest. Recently the band has been performing a new project of music form the Marx Btother movies featuring the character and sax of Roy Nathason from the jazz Passengers! Ballin' remains committed to playing music that is challenging, yet makes people want to move with the groove! Saturday, October 13th: Major evening concert at Elebash recital hall at the CUNY graduate center. Located 365 5th Ave. and 34th St. 8pm. FREE. Michael Alpert, Bob Cohen (Budpaest), Di Gojim (Holland), Phyllis Berk, Zalman Mlotek, Judy Bressler, etc. The evenings host will be NPR’s Ellen Kushner. Sunday, October 14: Major evening concert at Symphony Space (96th St. and Broadway) in Manhattan. 8pm. Call: 212 864- 1414. Theo Bikel, Don Byron, Elizabeth Schwartz, Michael Alpert, Andy Statman, Hankus Netsky, etc. The evening’s host will be actor/director Isaiah Sheffer. Simcha on the Square Is back! And its totally free! The biggest Jewish event in London is back! Imagine  in the centre of London, in Trafalgar Square, lots of great bands and artists playing and dancing to Jewish music of all kinds! Simcha, a Hebrew word meaning celebration, can be enjoyed by people of all age groups, backgrounds and ethnicities in a warm and friendly atmosphere. And of course a chance to eat some Kosher Jewish food (including Kosher Ice cream!). 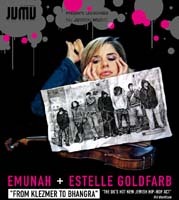 Come and party with one of the star acts of Simcha on the Square - the outstanding violinist Estelle Goldfarb + DJ Click from Paris doing their Klezmer-with-club-music-and-rock thing... Also appearing are Emunah, London's brightest Jewish Fusion Hip Hop band! Its going to be a fabulous night to end a fantastic day! Estelle Goldfarb brings the power and excitement of high energy rock to the Jewish violin together with the subtlety and depth of the Orient and the passion and fire of Klezmer. She has collaborated and performed live with many different artists including Hip Hop Hoodios, Emunah, So-Called, Matisyahu and David Krakauer. She has recorded Koved with the Yiddish singer Zahava Seewald on John Zorn's Tzadik label. In 2003 she formed the group S-tel which brought together music from all the Jewish traditions combined with electronic grooves. Dj Click produces his own label NO FRIDGE. 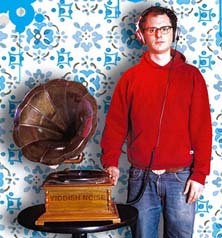 His razor-sharp programming and exploration of world music has made him one of France's most adventurous DJs. The Guardian called them 'the UK's hot new Jewish hip hop act', but what do they know? The Emunah crew hail from a variety of ethnic backgrounds, including Jewish, Palestinian, Pakistani, Irish and Russian. Emunah's repertoire spans hip hop, reggae, breaks and drum and bass, shaking dancefloors with their unique fusion of melodies from around the world, kicking beats, uplifting vocals and rolling basslines. This month we'll meet the second Sunday due to the Columbus Day holiday. A place to enjoy the wonderful legacy of Klezmer music in an informal and friendly atmosphere. We play from music, available at the jam. We have a variety of instruments, and welcome players at all levels. Keyboardists should bring electric keyboards if possible. Corner of Fairmount and Esplanade. Come one, come all! Play some Yiddish music with us! The lovely and talented Carolyn Shaffer has organized a (hopefully regular) jam session in Montreal! The first one will take place on Tuesday, October 16th at the Arts Cafe on the corner of Fairmount and Esplanade at 7pm. All are welcome! AND THAT'S NOT ALL! Want to practice your Yiddish. An informal Yiddish conversation group will meet beforehand (same location) to chat, read, play games and just generally practice our Yiddish. Thirteen of the world's most influential klezmer musicians gather for a concert and educational program inspired by the iconic 1958 photograph of jazz musicians "A Great Day in Harlem." 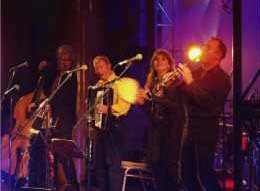 Conceived of and led by klezmer virtuoso Yale Strom, this gathering of musicians will highlight klezmer music, the traditional wedding and folk music played by Eastern European Jews. 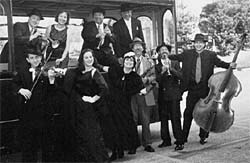 Klezmer lost popularity in the Unitd States after the 1950s as Jews looked to American musical sources. It began experiencing a revival in the 1970s as young musicians interested in their roots began to reclaim this tradition and incorporate American jazz and rock influences. Join the Eldridge Street Project on its Great Day Tour with "A Great Day on Eldridge Street" in the beautful setting of the 1891 Fredonia Opera House. Box Office Hours: Tu  F, 1  5 p.m.; Sat, 2  5 p.m.
CircuitBreaker is the newest brainchild of Jon Madof (Rashanim); an eight-piece band including four drummer/percussionists, bringing together the musical worlds of Fela Kuti, John Zorn and others in a mind-bending mix of deep groove, radical improv, and live mixing/conducting. 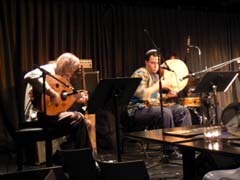 With Jon Madof (guitar), Greg Wall (sax), Brian Marsella (keys), Shanir Ezra Blumenkranz (bass), Mathias Kunzli (drums, percussion), Yuval Lion (drums, percussion), Rich Stein (drums, percussion) and Tim Keiper (drums, percussion). Israel Prize winners, The Gevatron: The Israeli Kibbutz Singers, will perform with America's foremost Jewish choral ensemble, the Zamir Chorale of Boston, on Thursday evening, October 18, 7:30 pm at Congregation Kehillath Israel in Brookline. "Those Were the Days - These Are the Songs" is sponsored by the Zamir Chorale of Boston and the Jewish Agency, and cosponsored by the Consulate of Israel to New England and the Combined Jewish Philanthropies. Tickets are $18 for unreserved seats, $36 for reserved seats; $12 for students and seniors and are available on line, www.zamir.org or by calling Zamir, 617/244-6333. The Israel Prize is the most prestigious award handed out by the State of Israel and is presented annually for distinguished achievement in scholarship, the arts, or public service. 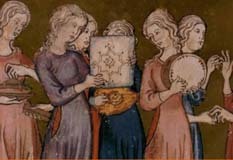 The Gevatron, which received the award in May, was founded in the same year as Israel and is the best-known and most popular traditional folk-singing group in the country. The exclusive Boston concert will include Hebrew music in two very different forms—the exquisite artistry of the Zamir along with the rousing folk music of the Gevatron. "Les vendredis de mon enfance j'étais souvent à la Synagogue. Ma mère y tenait. J'aimais y aller et, malgré un sentiment de lenteur, parfois d'ennui, il m'en reste un goût magique mêlé a de subtils plaisirs. aujourd'hui je me rends compte que la voix et les mélodies du hazzan, du chantre Léon Muller étaient pour beaucoup dans la beauté de ces moments. Léon Muller était aussi notre professeur d'hébreu au kheder et je dois dire que ce n'était pas mon prof préféré. levant son index il nous disait toujours quand nous faisions les fous dans le couloir : " jeux de mains, jeux de vilains ! " Click Here for tix & more info. A live concert featuring 14 groups each performing one song in the original order of the classic motion picture soundtrack of Sholem Aleichem's great tale. Sarah Aroeste will be performing "Now I Have Everything" (Sephardic style, of course) with special guests Roberto Rodriguez (percussion) and Dan Nadel (flamenco guitar). Other performers include: Bruce Adler, The Klezmatics, Basya Schechter, Debbie Friedman, Blue Fringe, Jill Sobule, Jackie Hoffman, Neshama Carlebach & more! 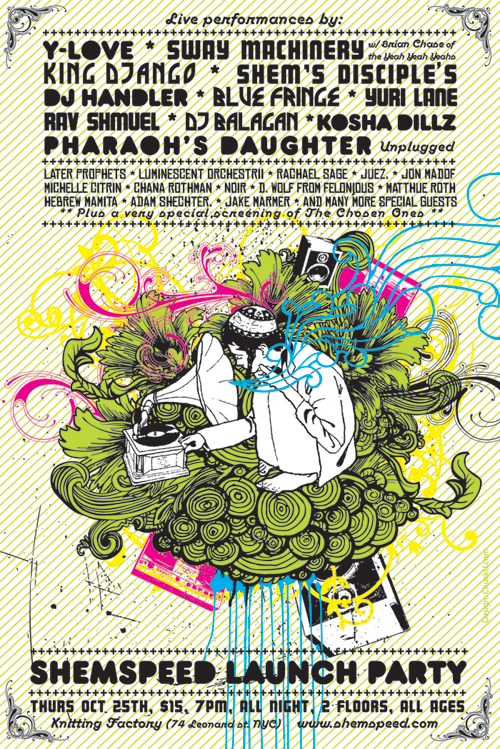 Click Here to see the full lineup of artists and songs. A special evening not to be missed! Validated Parking for the event is $8. For more info: www.redcat.org (213)237-2800. We are pleased to announce our very special next event: Una Noche Idishe/An Argentine Yiddish Experience at the REDCAT on Saturday, October 20th at 8:30 p.m. officially sponsored by the Consulate General of Argentina in Los Angeles and co-presented with the REDCAT. The rich Jewish/Yiddish culture of Argentina is celebrated in a boisterous, trilingual evening of dance, film, Yiddish tangos, klezmer music, theater and comedy. The performance features artists that embrace both their Eastern European Jewish and Argentine identities, including Los Angeles-based Argentine clarinetist Gustavo Bulgach and his Grammy-nominated ensemble Klezmer Juice, popular Argentine singer and actress Divina Gloria, and Schwee Miguel with dancers from his Tango Ganas dance company. Una Noche Idishe is a prelude to Yiddishkayt's next biennial citywide celebration of Yiddish, which will focus on the rich cultural production of the Jewish/Yiddish communities of Mexico and Argentina. Read more about Yiddish Argentina, Klezmer Juice, Divina Gloria and Tango Ganas below. We expect to sell out this event so we've set aside special tickets for our friends! All you need to do is call the REDCAT by September 28th to guarantee your seat and mention that you are a friend of Yiddishkayt. This is an exciting night you won't want to miss with fabulous surprises planned. Get your tickets today! Call (213) 237-2800. This show will feature Jewish Cuban Gypsy sounds of Roberto Rodriguez with special guests, including the legendary Irving Fields, Salsa great Larry Harlow, Frank London, Aaron Halva-Tres and others. Yiddish abounds in dark songs, edgy lullabies, and lyrical calls to action. Jillian will introduce a dozen familiar and less well-known songs, providing transliterated songsheets. To enter the world of Yiddish songs -- ironic, down-to-earth, poignant -- is to feel their irresistible spirit. Whether you're new to this music or already hooked, you will come away inspired. No previous familiarity is required to enjoy this sing-along experience! Described as a "one-woman Indigo Girls with a voice as smooth as Karen Carpenter," soulful folk rocker Julie Silver weaves together melodies that delight all ages. A star of contemporary Jewish music, this is her first concert for families at the Museum. Two great Israeli bands on one bill: Teapacks with their song Push the Button was Israels entry for the Eurovision contest. It raised a Brou-Ha-Ha by the European organizers, as it referred indirectly to Irans nuclear ambitions. The YouTube video featuring the hit song instantly was viewed by over a million people. Izabos music has been described as a Brilliant, action packed combination of Psychedelic Rock, Disco, Punk and Arabic spices, or, if we are to name-drop, like an unlikely cross between Led Zeppelin, the Talking Heads, and Om Koltom. Spinning between sets is dj handler, the founder and director of Shemspeed, Modular Moods, an independent record label, and the Sephardic Music Festival. As the brains behind Modular Moods and many of the hyped parties in and around NYC, dj handler defies musical stereotypes. Eight, three-hour sessions will be held on the following Sundays, from 2PM-5PM: September 30, October 21, November 18, January 20, February 17, March 30, April 27, and June 1. Cost for the series is $250 (interested participants must register for the entire series). To register or for more information, go to the 92nd St. Y website or call Pete Rushefsky at 212-571-1555 ext. 36 or email Pete. And stay tuned for information about a new season of Tantshoyzen and a December 9 Symposium at NYU entitled Defining Yiddish Dance: Sacred, Secular, Borrowed and Transformed. 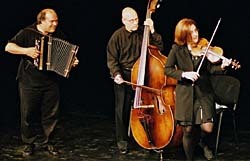 The Center for Traditional Music and Dance's Yiddish Dance Project is supported by the Forward Association, the New York State Council on the Arts Division of Folk Arts and public funds from the NYC Department of Cultural Affairs. Oyhoo痴 annual gathering is a South by Southwest or Sundance Film Festival for the Jewish cultural and entertainment industry! Schmooze �07 brings together the creative aspects of Jewish arts with leaders from Jewish cultural organizations across the country. Professionals and students from the Jewish culture, art and media worlds engage in dialogue about current developments, visions and goals. Keynotes, panels, and showcases feature leading musicians, filmmakers, writers and other innovators from coast to coast. It痴 a festival of entertainment; fun and networking like you致e never seen it. 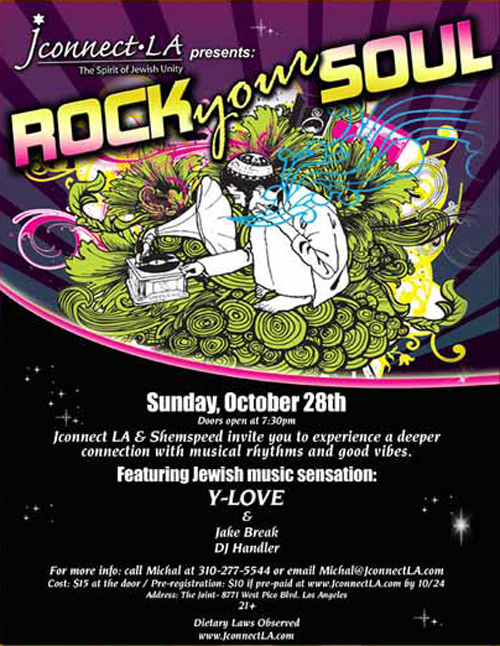 Join Jewish artists, writers, funders, supporters and media as they schmooze, have fun, get inspired, and do business. Hosted by his sons Micah and Daniel Barnes, a concert tribute to the important Canadian Jewish composer Milton Barnes will take place tomorrow, Monday, October 22, at the Al Green Theatre - MNJcc - 750 Spadina Avenue, Toronto. Featuring: trio Lyra - Erica Goodman, Mark Childs, Suzanne Schulman; David Wall, Marilyn Lerner, Artie Roth, Martin van de Ven, Renee Bouthot, Lenka Lichtenberg, Brian Katz. 8pm. Tickets $20, 416-924-6211, ext 0. The 4,000 Year History of the Jewish People. A Comedy Book by Leonora Thuna; Music by Charles Fox; Lyrics by Norman Gimbal. Staged Reading: Be the first to enjoy this hilarious and poignant new musical comedy that at the same time will give you a crash course in Jewish history. Travelin Music is the story of a family who travels through 4,000 years of Jewish life encountering great moments in Jewish history while experiencing the day to day lives of any family. Tuesday, Yom Ptirat Rachel Imenu, in Jerusalem. It is sponsored by Emuna women and the City of Jerusalem. This event is for women only. Lecture by Rav Yisrael Meir Lau, words by the Mayor of JM and others. Concert by Nomi Teplow and the Neshot Hava band featuring your favorite Jewish and Israeli music and some of Nomi's original music including the soon to be released "Rikdi Rachel" (hear it at www.myspace.com/nomiteplow). Following the concert, Optional tfilla in Kever Rachel. If you would like to continue on to Kever Rachel, please contact Emuna women for details. Explore how Jewish Identity seeps into the literature and lives of authors Rudy Delson (Maynard and Jennica), Yael Goldstein (Overture), Cynthia Kaplan (Leave the Building Quickly), and others, moderated by Liel Leibovitz (Aliya and the coming Lili Marlene), with an introduction by Larry Krule, President of Jewish Book Council. This event is co-sponsored by the Jewish Book Council in partnership with the Strand Bookstore. The Workmen's Circle Klezmer Ensemble will be holding a free open house on Tuesday, October 23, at 7 PM. Six paid sessions, Tuesdays at 7 PM: October 30, November 6, November 13, November 20, November 27, December 11. Please note that, due to Khanuke, there will be NO session on December 4. Sessions will take place at the Workmen's Circle, 45 East 33 Street, Manhattan (between Park and Madison). For more information, please contact Dana Schneider at 212 889-6800 x 271. Oy Vey from Italy premieres Diary of a Partisan, Resistance songs from the ghetto of Vilna/Vilius. The extraordinary diary of a Jewish partisan, found within the confines of ghetto and moving to the woodlands of Lithuania during the Nazi occupation. Songs and Music with projection of historical photographs. Amerigo Fontaini, narrator, Gabriela Soltz, Vocals, Daniele Poli, guitar, mandolin, bass, Ugo Galasso, clarinet, Alessandro Moretti, accordion. World Premier of Basya Schechter of Pharaohs Daughter musical interpretation of selected poems from Abraham Joshua Heschels diary—one of modern Judaism's greatest spiritual authors—written between 1927 and 1933 which appeared in Warsaw when Heschel was only 26 years old. The show is a powerful song cycle; mixing elements of Leonard Cohen meets Kurt Weill with the themes reflecting the foundations of Heschels beliefsstruggles with radical spiritual striving to cure the worlds ills. A follow-up to last year痴 sold out show. This year, we feature Bonnie McFarlane, Eugene Mirman, Paul Mecurio and other special guests. The lineup is still in flux, so stay tuned for more announcements. Hyim Urban World Beat Singer-songwriter, blending Manu Chao, Peter Gabriel, and Dave Matthews. New York Premier of Dan Wolf痴 Stateless A hip-hop and beat box infused theatrical collaboration with Tommy Shepherd, balancing the problems of racism with the Jewish African American Experience. Plus: The Rootsy Americana of JP Cutler. Featuring: Rashanim, Frantic Turtle, Steve Dalachinsky, Adam Schechter, Matthue Roth, Dan Sieradsky, Yerra Sugarman, and more! 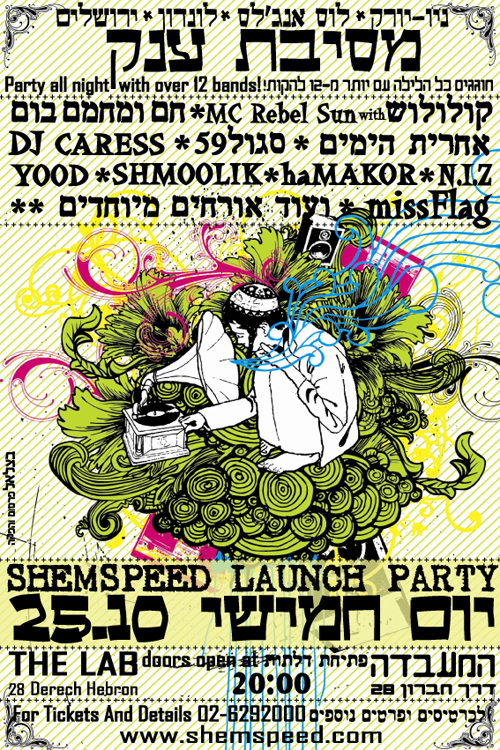 Shemspeed, the largest, most diverse Jewish music site teams up with Oyhoo to throw their NYC launch party! Check out Shemspeed at www.shemspeed.com. At this fine kosher steakhouse in Midtown, we will be doing different duo couplings. Small setting. The Second Annual New York All Star Yiddish Sing-along will take place on Thursday, October 25, 7:30pm at Congregation Rodeph Sholom, 7 West 83rd Street. Come join our illustrious musical director Zalmen Mlotek and many of our most beloved Yiddish performers in a fun-filled, unique and heartwarming celebration of Yiddish music. Those of you who participated in the first Sing-along last September will remember the excitement of sharing dozens of beloved Yiddish folk-songs, art songs, songs of social significance, children's songs, and theater songs with hundreds of others, filling the magnificent Rodeph Sholom sanctuary with the moving sounds of "mame-loshn." You may have even noticed a few people holding up their cell phones so that parents and friends in remote locations could hear the beautiful sounds. General admission will be $18 if purchased in advance, and $20 on the day of the Sing-along. Please give us a call at 212-683-7816 if you would like to order tickets or if you have any questions. We welcome your suggestions for songs to be included. Sponsoring organizations include The National Yiddish Theatre/Folksbiene, The Workmen's Circle/Arbeter-Ring, Yugntruf-Youth For Yiddish, Congregation Rodeph Sholom, Congresss for Jewish Culture. This Sing-along is produced by Golden Land Concerts & Connections, Moishe Rosenfeld, President, and is a part of the 5th Annual Oyhoo Festival - Michael Dorf, Executive Producer. * Email rsvp[at]shemspeed.com to ensure getting in! With performances by: Aharit Hayamim, Coolooloosh, Rebel Sun, haMAKOR, Yood, Cham Mechamem, Lo Ploog, Nosson Zands a.k.a. Niz(Boston), Shmoolik, Sagol 59, DJ Caress, and a special performance by one of the most famous Israeli musicans ever! Kabbalah / Socalled les 26 et 27 octobre au Grenier à Sons et à la MJC Picaud. ), de langues (anglais, yiddish, russe) chantées, parlées permet l’expression d’un style coloré propre à Kabbalah. Leur album « Shlomo » est une pure réussite et rarement métissage n’a été plus convaincant. … featuring a special sampling of Hebrew Beer. For more reformed Jews. Moskver zinger Psoy Koralenko baleyt fun Mikhl Vinograd. singer from Moscow, Psoy Koralenko, accompanied by Michael Winograd. Grammy winners The Klezmatics, world-renowned superstars of the klezmer world make their Friend Center debut. 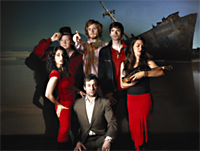 Their music is steeped in Jewish spiritualism and Eastern European tradition while incorporating more provocative themes such as social rights and anti-fundamentalism with eclectic musical influences such as gospel, punk, and Arab, African, and Balkan rhythms. Delicious dips and meals in European tastes available for dinner bookings, or book for the show only. with performances by: EMUNAH's DJIB, Shisha Sound System and Los Desterrados and special guests…. ｣5 at Ditch Bar, 145 Shoreditch High St, London. Saturday 27th October 2007, 9pm - 3am. Participatory workshops on dance, poetry, music, and arts curation. Evening cocktail reception and performance. Workshops with Pearl Lang, Jenny Romaine, Beyle Gottesman, Susan Griss, Esther Cohen, Jennifer Miller, and other exciting presenters. Voor het programma en meer informatie zie ommezijde. Vanaf 14.00 uur kunt u de reservering afhalen in Boerderij "De Benedenhof". Hier staat de koffie, thee en Tongelaarkoek voor u klaar. Om 15.00 uur begint het concert en zal, met een pauze, tot circa 16.30 uur duren. Evenals de andere zondagmiddagconcerten wordt ook dit concert met een verrassingsdiner afgesloten. De prijs per persoon voor dit concert is  20,00 inclusief koffie/thee en Tongelaarkoek bij de ontvangst. Wilt u na afloop aan het 3-gangen verrassings-dinerbuffet deelnemen kunt u zich bij de reservering voor het concert vooraf aanmelden à  25,00 per persoon. Voor reservering kunt u bellen, faxen of e-mailen met Marijke & Paul Speller. 126 snaren, samen in een klezmerband, waren in vroeger tijden heel gewoon: van oudsher vormden een paar violen, een cimbaal en een contrabas samen de band van het dorp. Tegenwoordig zie je dit zelden meer en al helemaal niet in een bezetting van louter vrouwen. Di Fidl-Kapelye uit Amsterdam vormen hierop een uitzondering. De 4 snaren virtuozen hebben verschillende muzikale achtergronden: klassieke muziek, pop en barok, om er maar een paar te noemen. Door de jaren heen deed de groep vele klezmer festivals aan (Weimar, NYC Workmens Circle, Hackesches Hof Theater Berlijn, Internationaal Joods Festival Amsterdam) en werkte met musici als Alan Bern, Michael Alpert en Frank London van de Klezmatics. Oorspronkelijk voerde Di Fidl-Kapelye voornamelijk traditioneel repertoire uit, onder meer te horen op de eerste cd 'Live in Amsterdam'. Hun vele contacten en verschillende muzikale interesses inspireerden hen de horizon te verbreden. Het idee ontstond om trompet spelende componisten te vragen nieuwe klezmermuziek te schrijven voor de strijkersband. De nieuwe stukken, gecomponeerd door Frank London (Klezmatics), Gijs Levelt (Amsterdam Klezmer Band), Job Chajes (Amsterdam Klezmer Band), Susan Watts (Mikveh) and Eve Monzingo (Chicago Klezmer Ensemble) hebben op de cd elk hun traditionele tegenhanger. Zo speelt de band in dit nieuwe programma dus oude en nieuwe nummers in een concert! Lucette van den Berg, CD releaseconcert 'Friling' with new songs of Yiddish composer Beyle Schaechter-Gottesman, October 28th, Sholem Aleichem Cultural Center, NYC. The CD and program 'Friling' is a exceptional Yiddish program, wich is focussed on the Yiddish composer Beyle Schaechter-Gottesman. "Songs from Chernovitz: the 100th birthday Celebration of the Chernovitz Conference" An evening with Yiddish singer and songwriter, Asya Vaisman and musician, Pete Rushefsky. 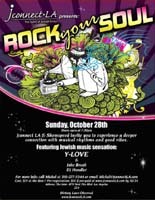 Sunday, October 28, 2007, 7:30 pm, $3 JCC, Yiddish of Greater Washington members/$5 general public. 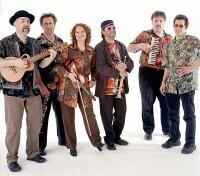 Grammy winners The Klezmatics, world-renowned superstars of the klezmer world. Their music is steeped in Jewish spiritualism and Eastern European tradition while incorporating more provocative themes such as social rights and anti-fundamentalism with eclectic musical influences such as gospel, punk, and Arab, African, and Balkan rhythms. If you are a fan of Michael Wex (which is to say, if you have ever met him, heard him speak, or read his previous best-seller), and you live in Toronto, you will be quite pleased to know that the new book, Just say nu is out. It's available at Pages and fine bookstores everywhere. The launch party is going to be this coming Monday night at one of Queen St.'s great reformed hotels (unless you were one of the indigent people who could afford the SRO that it used to be), the Gladstone, 7:30-10:30pm. It's FREE. The reading is sponsored by Pages—it's part of their "This is not a reading" series which presents writers and artists with new books. Even if you don't want the book, don't want the autograph, it's still worth showing up because Wex is so damn funny.